Market tracker Nielsen has snapped up New York-based research firm SuperData. No figure has been put on the deal, but the duo believe this union will give its clients a greater insight into the global games market. 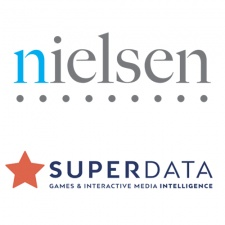 SuperData will be rebranded 'SuperData, a Nielsen company' moving forwards. “Video games have become a mainstream form of entertainment that engages and excites billions of people globally," SuperData CEO and co-founder Joost van Dreunen said. "In Nielsen we found a shared vision of helping clients understand the changes taking place in consumer entertainment preferences."